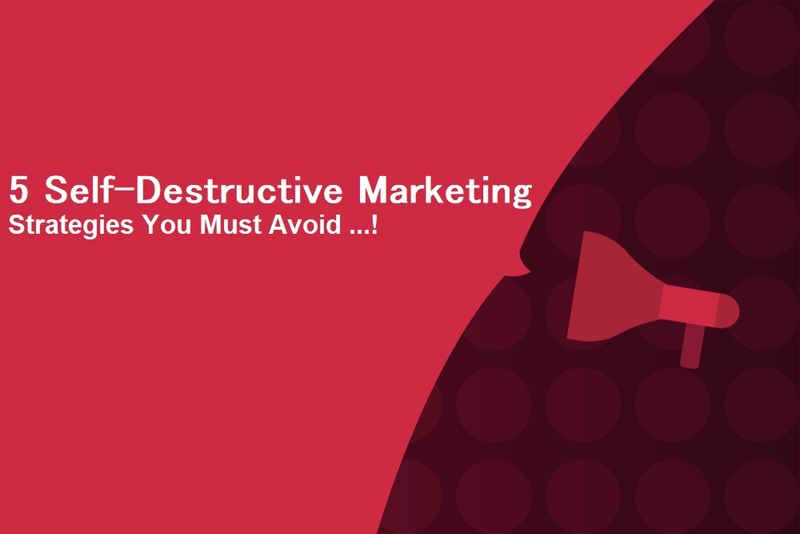 Are you doing more harm than good with your marketing? Here are just a few popular marketing strategies that on the surface seem effective but can actually end up damaging your company. Having lots of followers on social media can make your company seem more popular and successful, but you should think twice before buying these followers. Buying your social media audience can render your entire social marketing strategy useless. This is because these followers are largely all inactive accounts – as a result, every time you post something on social media, it’s going out to these accounts and not your key consumers. The likes of Facebook are also starting crack down on this behavior by deleting inactive pages. As a result, all the likes you paid for could end disappearing a few months down the line, making it a total waste of money. You’re much better off generating social media followers naturally. Stuffing your website full of keywords won’t make you appear on the first page of Google. Most search engines have long updated their algorithms, often filtering out any sites that overuse a certain keyword. As a result, using lots of the same keyword could actually have a negative effect on your rankings. Not only this, but it can make your website text distracting and unreadable if there are obviously too many keywords, inevitably putting visitors off. If you’re going to incorporate keywords, you should do it in a way that comes across natural. You can do this with the help of an SEO company – this list of the best SEO companies of 2018 features some great companies worth using. These professionals can help you to find the right keywords and build your web presence in order to get the best results from search engines. Be wary of spamming people that are signed up to your mailing lists – they may choose to opt out if you keep assaulting them with emails, texts or letters. Some customers may get so annoyed that they stop using your service altogether. Aim to only send out information that’s useful or fun – don’t keep repeating yourself by continuously promoting the same offer. False urgency is when a company tries to pressure consumers into buying their product quickly by claiming that there’s limited time left, when actually there’s plenty of time. This could include telling customers that a product is about to run out of stock in the next few minutes to rush them along, or giving website visitors a timer the moment they put something in their basket. Not only can this be deceitful, but it can stress out your customers by rushing them into purchase that they’re not entirely certain that they want to make. Many modern consumers are now getting driven away by this behavior. By all means apply pressure on your consumers, but don’t rely on them panic-buying your product. This is very similar to buying likes and can have a similarly negative impact. Many consumers are able to distinguish fake reviews from real ones, so you’re unlikely to do yourself any favors by faking reviews. In fact, it could simply convince consumers not to use your company as they’ll immediately lose trust. Focus instead on generating genuine positive reviews.